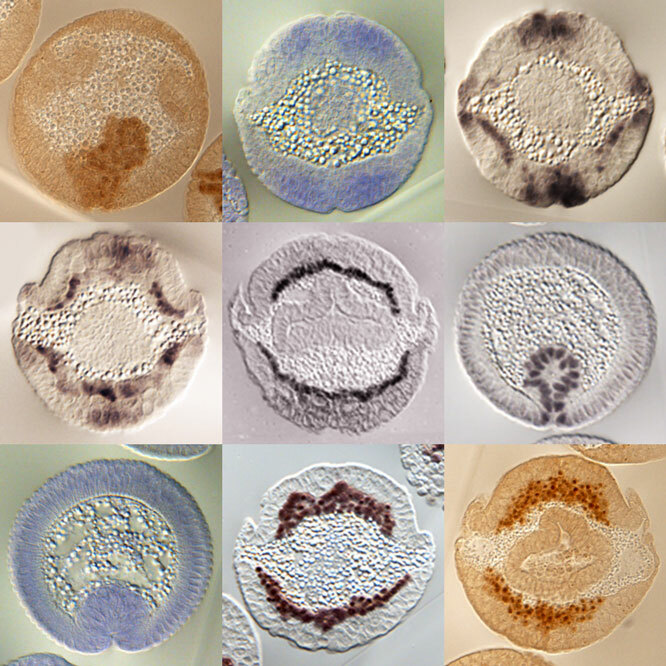 “Coordination of mesoderm migration during Drosophila gastrulation” Cross-sections of Drosophila embryos in wild-type and mutant backgrounds: brown and black depicts the migrating mesoderm (anti-Twist staining) or dual-phosphorylated form of ERK (anti-dpERK), and blue depicts gene expression of either HSPGs Trol or Syndecan. From Trisnadi and Stathopoulos. Photo credit: Nathanie Trisnadi. The new issue of G3 features Asian malarial mosquito control, familial idiopathic scoliosis, and a high-res genetic map for the Mexican tetra. Check out the Table of Contents below! Vexed: why doesn’t eastern coral snake venom vary?